I've previously written a series of posts called "Freed from Tithing, Free to Give," and I also recorded it as an audio and video series, so what I'm sharing here is nothing new as far as my thoughts on tithing go, but I just thought I'd write this quick post about why I don't like using the word "tithe" in the church. The convictions that I'm sharing here have been arrived at through my own sense of compassion for the church as I've studied tithing and giving and as I've seen how people have reacted and responded to various church teachings on all this. I'll start out by saying that words do mean things. They are important. "Tithe" means one tenth, and so when someone says "tithe" in the church today, it connotes the meaning of giving ten percent of one's income to a church. I am dead set against that entire idea, and I'll explain why. Back under the Old Covenant, and specifically at the time during the Old Covenant when the Levite system was set up, the Levites had no land to produce crops and no animals for food either. They were, in fact, forbidden to work the land and to raise cattle, etc. And so in that particular economy, God set it up so that the other eleven tribes would provide food for the Levites. That's the only reason "tithes" were given. Ten percent wasn't some "standard" that God had come up with for giving. It was essentially a calculated amount by which the eleven tribes would provide food for the twelfth tribe. The Levites also tithed a tenth of the tithes they received to the priests (a tenth of a tenth), and eventually a portion of the tithes (food) was also portioned out to provide for widows, orphans and strangers. It was a great setup for that particular system. But here's the thing. The Israelites also had money and other possessions. They earned money, they spent money, they lent and borrowed money, they traded possessions, they redeemed people and possessions with money, and so on. But they were never commanded to tithe of their money! So if we look at how much the Jews really "tithed," including their money, they actually gave less than 10%. That's not to say that they never gave their money to help others. But they were never commanded to tithe of their money. Again, the tithes were food, set up to provide for the Levites, who were commanded to not work the fields for their own food. The point being, that God never set up "a tenth" as any kind of blanket standard for giving. Even Abraham's tithe to Melchizedek had nothing to do with money or income, but rather was a one-time tithe from the spoils of war. It had nothing to do with some "standard of giving" that God was supposedly setting up. And so today it's not as if God is saying, "Hey Christians, look, see, I had the Israelites tithe ten percent, and so now you are under grace and so you should give much more!" Again, ten percent is not some magical number or some standard of giving that God set up. The church today is so very different from the Levitical system. SO very different! It's not a matter of eleven tribes providing for a twelfth tribe. We are now one body who supports and provides for one another (ideally). We don't have any certain amount of people setting aside food for another certain amount of people. It's a completely different way of life. In the church today, we have individuals and families who make all kinds of different amounts of money and have all kinds of different amounts of expenses. There is no way to have a blanket "ten percent" as a standard for giving, even under grace. Take, for example, two families who earn $35,000 per year. One family had their house and vehicles given to them. They have two young kids who so far are relatively inexpensive to raise. They have no medical bills or other expenses that put them over the top. On the other hand, the other family has a mortgage payment and car payments. They have a teenager who is eating them out of house and home! They have two kids in college (not cheap!) and one who is getting married. They have medical bills piling up and house maintenance and repairs to keep up with. You get the point, I hope. This example shows how extremely different our circumstances can be. It's a horrible, horrible thing (in my humble view) to tell everyone that since the Israelites gave 10%, then that's the very least we should do. It just doesn't work that way! It's true, I'm sure, that there are people who really could give more to provide for the needs of others. I would hope that they would step up and help others out in big ways! But at the same time, I know people who are struggling to try to come up with ten percent of their income to give "to a church," and there are those who feel guilty because they simply cannot do it. And so my point here is that not only should they not be struggling to try to give what they cannot give, nor feel guilty for not being able to do it (and not told that 10% is the least that they should give), but in a caring church environment, with people who care for the needs of people, they should really be the recipients of the giving of other people. My point here is that I really do not like the use of the word "tithe" because it means ten percent, and it's simply not a possibility for everyone to do that. Christian giving is simply giving cheerfully whatever a person is able to give, as they decide in their heart to give. There is no blanket amount or percentage that should be used, in my opinion, as I look across the vast array of people and families in the church today. No one should ever feel pressured by an amount or percentage, nor be pressured to give at all. Again, I have a lot of compassion for people, as I've been in the church all my life and have seen so many people struggle with this "tithe" thing. It need not be, and so my ongoing goal is to help to free people from the "tithe." There's a lot to be said here from both sides of the "fence". I'll just give my 10%...If you are tithing because you feel "guilty" or "forced" then stop giving! It's religion! If you are not seeing God in your tithing, then stop giving! It's religion! But if your heart is in your giving and you can see God tangibly working within your finances, then by all means support your church family and the community around you! Give what you can afford to give and stop making a big thing about it!! It's really that simple. Thanks for the link, David. There's a lot of informative and helpful information there! Karen, yep indeed, you're so right. Malachi 3 has absolutely nothing whatsoever to do with life in Christ. God had set up laws for the people under the Old Covenant, and some of those laws included having the eleven tribes provide for the twelfth tribe, the Levites, through tithes of their crops and cattle, etc. (Interestingly, it was never money that they tithed). Well, the 11 tribes had forsaken the command to provide for the Levites (and as we read Malachi, we see that they had also forsaken various other laws), and so Malachi came along as God's prophet, and God rebuked the Israelites for not obeying all of these commandments. If we want to incorporate the Malachi tithing rebukes into Christianity, then we have to also include all of the other rebukes, not to mention all of the laws that Malachi was referring to that Israel was not keeping! Don, thanks for your comments. The problem that I have with the word "tithe" or "tenth" in regards to Christian giving is that a "tenth" has nothing to do with any standard or guideline for Christian giving, but yet it is often preached and taught as if it is. This misguided teaching leads people to think, then, that they are supposed to give 10% of their income to a church. I would much rather simply encourage people to give cheerfully and generously, when they're able to, wherever and whenever they want to give. And as I mentioned in this blog post, there are many people who simply are not able to give 10%, and they should never, ever have to feel as if they are missing the boat because of this unfortunate standard that has been set by the church. So indeed, I am all for "giving" (and giving generously whenever we are able) but not for "tithing." this is so enlightening. i seldom hear Christians talk about tithing. tithing is like income tax? fasting is like hunger strike? As for fasting, I don't know if I'd call it a hunger strike. Even in the New Covenant scriptures, there were examples of Christians fasting. I don't particularly feel led to fast (fasting is so slow... LOL), but I think it's still a New Covenant practice for some. YuppieTalks, thanks for your comment. I'll say that I'm all for giving when we're able to, and I'm very happy and excited to give to others, especially when I can see how much benefit others will receive from whatever I can give. But tithing is not a New Covenant concept. And while there is one pre-law example of a person (Abraham) giving a one-time tithe of the spoils of war to the local King/Priest (Melchizedek), that in no way means that a "tithe" (tenth) is an example for New Covenant believers to follow. In Hebrews 7, the tithe does not testify that Jesus lives. Rather, "he lives" refers to Melchizedek, and the point in all of that passages is that the Levites, who were not even born yet, effectively paid a tithe through Abraham, because they were "in his loins" at the time. All of this signifies that Melchizedek is greater than the Levites, and since Jesus' Priesthood is "of the order of Melchizedek, then Jesus' Priesthood is superior to that of the Levites, thus making the Old Covenant obsolete. Again, the significance of Abraham's tithe is that Jesus/Melchizedek is greater than the Levites. The tithe doesn't testify that Jesus lives. The tithe testifies that Jesus is greater. On top of all this, the "tithes" (the tithes for the Levites) were never money and were never to a "church." The tithes were a matter of 11 tribes providing food for the 12th tribe. It was all about eating, not about money and not about sustaining a church. And so I will continue encourage people to give in all kinds of ways (maybe having to do with a church and maybe having absolutely nothing to do with a church), but I cannot support the idea of a "tithe." fasting is another horse here. my humble opinion as a radical grace believer is that fasting is often looked at as a gesture of approach or a way we gain favor or get God to act on our behalf as they did in kings when they started crying out and slitting their wrists to get their God to act. yet thats not how I read the grace message. the veil was torn and we can now boldly and with confidence enter into the most holy of holy's and speak directly to our father. we have Gods love and favor already and fasting almost seems as an outward expression of unbelief that we dont trust God with our problems or issues but that it takes action on my behalf to get his attention. I still have much studying to do so this is just me humbly putting the things i think about when fasting comes up. Any thoughts on the fasting thing for me? Much appreciated. Last month my friend Ralph Harris wrote a great blog on fasting, bringing up some things about fasting that I had never thought about. In short, and in my own words, fasting isn't about getting something from God, but rather is about getting away from the shallow means of being satisfied that we've become accustomed to, and getting to know the One who truly does satisfy us, all the more. Joel, this is the first time I'm reading a blog of yours. I read through the Bible regularly and also study it, but never did a study on tithe. I did see the points you make as I read the word, but without studying it, didn't bother to search for a conclusion on tithing (I was "choosing my battles" as to what I had time to study out, and so just continued to tithe just to be "sure" -- play it safe-- and just made sure I did it with a good attitude [I really do want to be in a position to give and God has always provided enough for me to do so]). Now that I've read your blog, I do agree (it lines up with what I've read in both Old/New Covenant). What I take away from this, is that I must be sensitive to the Holy Spirit in what I give. Also, 2 Corinthians 8 & 9 amplified version is a good scripture to give balance and understanding on the concept of giving. I certainly understand what you mean by "choosing your battles" as to what you have time to study out. I do the same thing. There are many biblical things that interest me, but I just don't have time to get into all of them, so I stick with ones that I seem to be more passionate about. 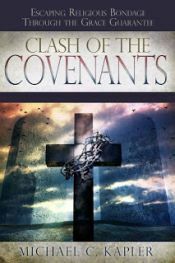 On the subject of "covering," there really is no New Covenant concept of that... at least not in the sense that some churches make it out to be. Jesus Himself is the Head of His church. He Himself is our covering. There is no hierarchy in the church - which is His body. No one is "above" anyone else. Each one of us is unique, and we play our individual and diverse parts within the body as a whole. There are indeed people who are more mature than others, and who can play very helpful mentor roles and "leadership" roles, but they are not our "covering," and they are no more in need of being supported than anyone else in the body. In other words, we are all equally in need of supporting one another. That said, some things that people do within the body do indeed "cost" more than other things, and we, as a body, can step up and support them in larger ways if needed. But the concept of pastors and teachers (etc) being paid in the ways that they are paid these days is indeed tradition, and not biblical. "Pastors" weren't put in the body as "paid positions." However, if a local body is set up that way, and they all agree that they want to have their local body set up that way, then they can most certainly do that. A local body is not limited or compelled to do things a certain way. That's quite often how I've seen it, or heard about it from others. The "covering" concept is used as more of a control thing, rather than a way to help and edify and care for others. There are indeed people who have a genuine "shepherd's heart" for others, but I don't think they were ever meant to be in control of others. Rather, they use their influence and compassion to help build the body, rather than using the body to help build themselves, so to speak. Tithe means payment. He paid a debt I could not pay. A good steward should know what is being paid for and when it's paid up. Offering is giving. Do we get saved freely and then pay the rest of our lives? No. "Tithes and offerings" makes a clear distinction betwee the two. There are no words in the bible of a NT tithe doctrine. Only Levites had the command so they are teaching for doctrine the commandments of men.